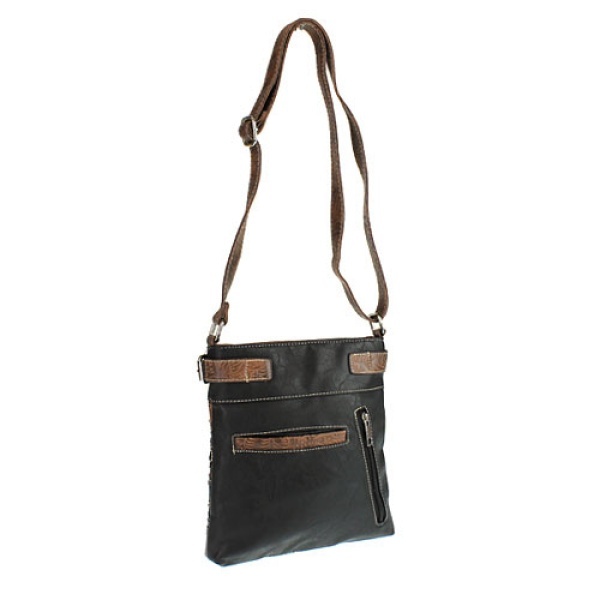 Zipper closure messenger bag. 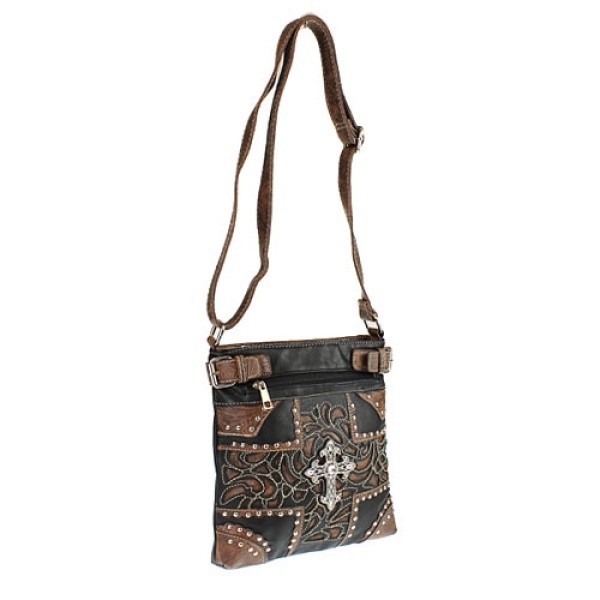 Leather like material with rhinestone and cross design. Front of bag contains one zipper pocket. Back side contains a slanted zipper and horizontal open pocket. Within the bag there are two open and zipper pockets.